What to do there? The Federal Territory of Labuan or also known as Labuan Island is located on the northern shore of Borneo. This unique island is also located close to Malaysia’s neighbouring country; Brunei, as well as south of Sabah’s capital, Kota Kinabalu. You can always make Labuan Island as another destination to add in your trip around Southeast Asia or Malaysia. Being Malaysia’s only deep-water anchorage, the humble island charms every traveller with its own serenity and beautiful views where one can take pleasure in exciting tourism activities too. From activities like diving, snorkeling, island hopping, kayaking, fishing, sightseeing tour and cycling tour - every visitor who wishes to experience a serene getaway will appreciate the peaceful surroundings of Labuan Island. As Labuan Island is still lesser known as a tourism destination, expect to be amazed with the calming clear waters around this island. Divers will find great wreck diving sites to explore as Labuan offers four major wreck diving around the Brunei Bay. A perfect opportunity to go scuba diving, explore the World War II wrecks like the American Wreck and Australian Wreck to see ships within a 30-35m depth. 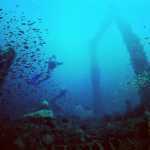 Or choose to see variety of marine lives around the Cement Wreck and Blue Water Wreck. Travellers can also explore the beautiful state of Labuan by going island hopping as Labuan Island is made up from 6 smaller islands. Visit some of the famous places in Labuan such as Rusukan Kecil Island, Rusukan Besar Island and Kuraman Island. Here, you can do some snorkeling, water activities like sailing or kayaking. If water activities aren’t your thing, get on a sightseeing tour along Menumbok river bank to check out some of the best views of Labuan Island nature. What to see there? From a beautiful sunset view to discovering historical landmarks known to Malaysia, Labuan Island might be lesser known but it surely has plenty to offer travellers in terms of unique tourism attractions. Be it for solo backpackers, a couple seeking for a romantic getaway or a relaxing family holiday away from the city, Labuan Island will charm you with its authenticity especially with its nature, culture and heritage sights. Facing the South China Sea, take pleasure in the calm environment around Layang-Layangan Beach to witness a stunning sunset here with your loved ones. The beach is also famous among the locals as a weekend spot to watch live band performances or a casual picnic along the long stretch of white sand beach. 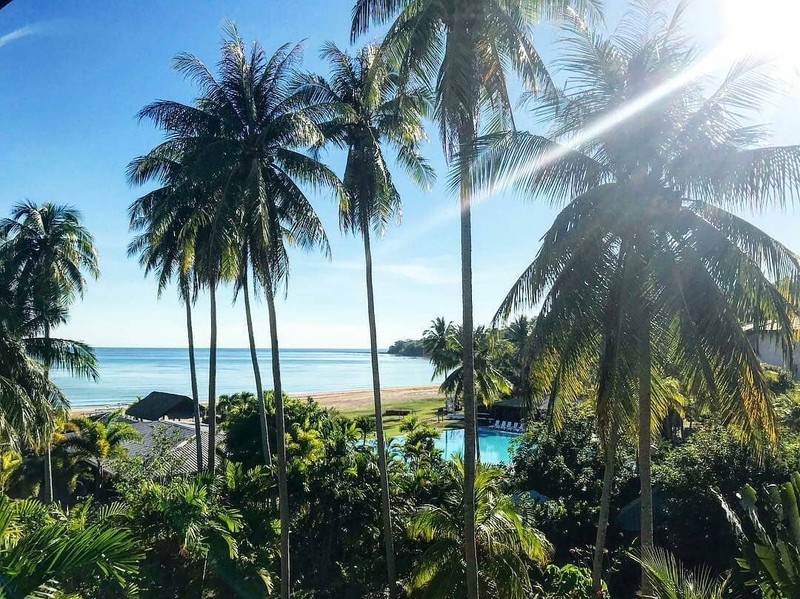 As Labuan Island offers some of the most pristine and clean beaches in Malaysia, there are also other nearby options for travellers to have a relaxing stroll by the beach or enjoy sunset views by visiting the Pancur Hitam Beach or Pohon Batu Beach. Make yourself free to discover the historical landmarks around Labuan Island where you can definitely arrange a heritage tour to visit these places of interest. Some of the well-known sights including Labuan World War II Memorial Park, Peace Park, Labuan Museum, The Chimney and Surrender Point. These places make a great source for history researchers as well as travellers who are interested to learn more about a nation’s history. For a start, visit the World War II Memorial at Jalan Tanjung Batu. Here lies the Labuan War Cemetery, where one can witness over 3,908 graves of soldiers who were killed during this historical period. Then, trace the interesting background of this occurrence at the two-storey Labuan Museum, where history buffs will find exhibits and facts from the prehistoric era up to Malaya’s independence, to how Labuan became what it is today. In this museum, travellers could also explore the unique culture of the 6 main communities in Labuan. Where is this place? : Di mana tempat ini? How much is this? : Berapa harga ini? Could you show me the way? : Boleh kamu tunjukkan jalannya? Labuan Island is a duty-free island. Expect to do some shopping for your own or purchase local souvenirs to bring home. The seafood here is one of the main tourist attractions as it is known to be fresh and affordable. To make the most of your trip to Labuan Island, check out the calendar on Labuan Tourism official website to attend the events and festivals happening in this island. Labuan Island is home to an annual event that is part of the Malaysia Water Festival. It often attracts a huge crowd during the time of the year as the island hosts several series of massive events such as the Deep Sea Fishing Tournament, Cross Channel Swimming Challenge and Round Island Kayak Challenge. There are hotels and local accommodations around the island. However, not so many resorts can be found. Although there are limited 5-star accommodations offered here, the island is truly worth visiting if you seek for a private and peaceful retreat. There are daily flights to Labuan from Kuala Lumpur and Kota Kinabalu. Alternatively, if you are from Kota Kinabalu, you can take a ferry for 3 hours to reach Labuan Island. Labuan Island is free from hurricanes or typhoons so technically, any time of the year is a good idea to plan your trip here. However, if you wish for an uninterrupted getaway, it is always best to avoid the year-end rainy season as well as local Malaysian holidays. If you’re seeking for a destination that promises tranquility, Labuan Island offers exquisite hidden gems, historical sights and unspoilt nature to discover.